C3 College - CANBERRA Campus. Study Leadership and Ministry in Canberra. We are so excited to be partnering with all of the C3 churches in Canberra to launch a new C3 College campus! The campus will be hosted by C3 Church Watson and we'll be offering our Certificate IV in Christian Ministry and Theology. study first year leadership & ministry classes in Canberra. A foundational year that equips you to serve in your local church or as a minister in the professional world. The course is designed so that you can immediately apply what you've learnt to your life and ministry. It is practical, inspiring, challenging and will leave you with a greater understanding of God and your purpose as you follow Him. It will also give you tools to live a life that is successful and God glorifying. 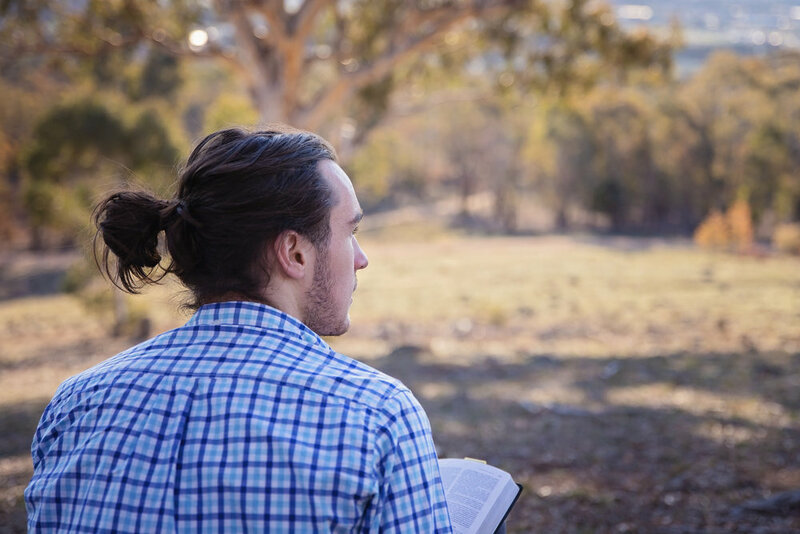 You will be able to study a Certificate IV in Christian Ministry and Theology (10742NAT) at our Canberra campus. Parking: There is ample free parking at C3 Watson, next to the building. To find out more information about our fees, click the link below. Click here for fee info. What was your experience like at C3 College? My experience at C3 College was life-changing. Two years on campus in Sydney, gaining a Diploma of Christian Ministry majoring in leadership, has set me up to serve God and His church. I look back fondly on my time at college! Why are you excited about Canberra having a C3 College campus? Why do you think it's beneficial? Canberra is full of people who are yet to meet Jesus and experience His love for them. For our churches to reach these people, we need an army of leaders, full of faith and a strong biblical foundation. How would having a Canberra campus have helped you when you went to college? I needed to leave Canberra cause I was messed up haha! If there was a college in Canberra I might have saved myself a bit a trouble. Maybe not the best question to ask me. What was my experience at C3 College like? I went to C3 College in 1985. It was called Christian City Church Ministry Training College in those days and it is amazing to think that the college is now thirty five years old. It was an amazing year, during which I received a deposit of Biblical principles and spiritual understanding by which to live. I have been living from those principles in the ensuing years. I often recall the wisdom and insight that I was taught at Bible College and it has given me a wonderful foundation in my life. Why are you excited about C3 College Canberra? I think it will be terrific that Canberra students will have a campus of C3 College in their hometown. Being able to undertake the course while still living in Canberra, still connected to family, friends and jobs, will make it that much easier to embark upon. 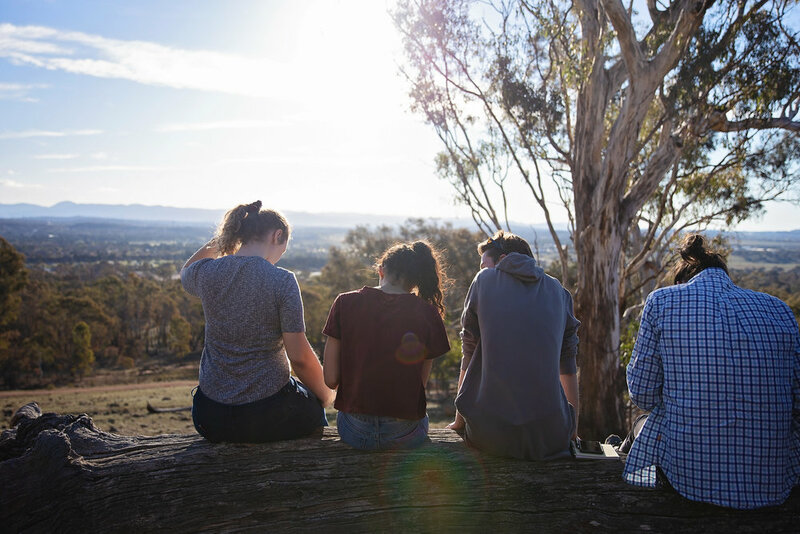 I hope we see a whole raft of students from Canberra, and the surrounding region, stepping up to get involved in deepening their understanding of the faith, developing their giftings and receiving training through C3 College Canberra. Why do I think C3 College is beneficial? I know, from my own experience, that to devote a whole year, or two, to seeking God through His word and opening your heart to the guidance and leadership of the pastors who teach in the college is life-changing. Quite simply, you will never be the same ever again. It is an opportunity to grow into who God made you to be. How would C3 College in Canberra have helped me? Well, I was a Sydney girl, so having the College also in Canberra would not have affected where I went to Bible College. I was fortunate that I could go to College in my own hometown and still retain my networks of family, friends and part-time jobs. This will be the great advantage for current Canberra students. My experience at C3 College in 1988 was transformative. I got to both listen to and interact with current church leaders and get behind the scenes with how church really works and what pastors and church workers really do. Our faith was challenged by having to find enough part-time work to pay all our bills and live a little while studying. Having to complete assignments and tasks, and having to pray, speak and minister at college stretched us and helped us transform our thinking into being both more Bible-based, and also more aligned with the vision and values of the C3 movement. 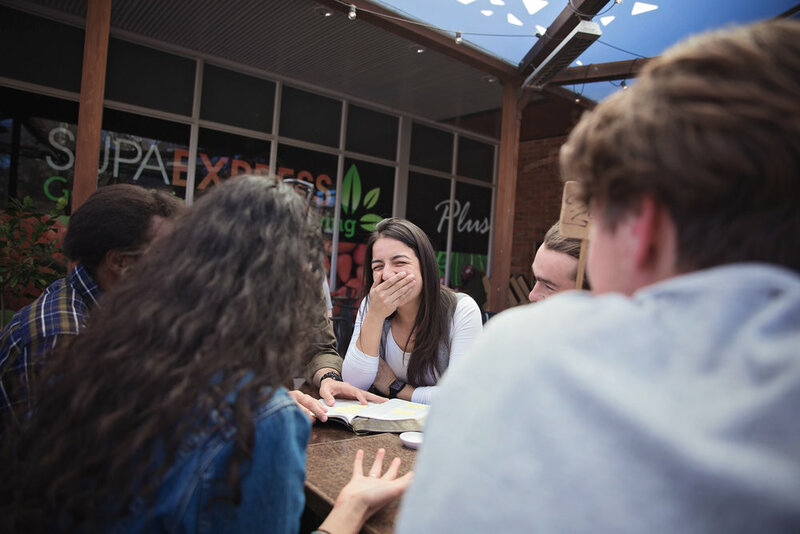 There are people in the Canberra and surrounding region who do not want to move to Sydney, yet who would love to study the Bible and interact more personally with C3 leaders. The Canberra campus will give them that opportunity. Sydney is not to everyone's liking or budget. It is also good to learn and apply training within and to a Canberra context from people who are doing it successfully in Canberra right now. Canberra is also a great place to live for many reasons; less traffic, job opportunities, fresh air, bike paths, great restaurants, shortish drive to the snow and beach, and of course, excellent C3 churches! It would have been a lot easier to afford the cost of living, which was higher in Sydney even in 1988. We wouldn't have had as much trouble trying to break into pre-existing friendship 'cliques' that are always the case in another city, so we would have had all the support of friends and family who were already here. This is no minor issue; you can take your own support network for granted until you move away from them. It takes a long time to establish a new one when everyone else already has friends they have over for dinner or visit on the weekend or have a BBQ with. Then there is the fact that the distances to college and work would have been much smaller and so therefore we would have spent less time sitting in traffic every day. We would have been able to park our car more easily every night. This reminds me again of the trouble it took to find work that fitted our schedule, paid enough, and wasn't miles away across town. So, yes, a college in Canberra would have made life very different for us! College was exhilarating, and that is not an exaggeration. At first we were a group of disparate people from all ages and backgrounds, by the end of the year we were united and of one purpose, and in some cases we were lifelong friends. It was spiritually, so powerful. I started the year with some serious mental health issues (high anxiety, panic attacks, agoraphobia) and these were completely gone three months into college. The word of God contains all the answers, but College allowed us to uncover some of the important questions. It will be great to witness local church members being trained by leaders of the local church. It will provide a sense of immediacy and relevance and will strengthen the C3 churches in the area. Being a Sydney boy I was well suited to travelling to Dee Why (as it was then). It allowed me to be close to family and friends and my local church. So for Canberra people this will be the same experience. Absolutely marvellous. My year studying at C3 College was so good. Setting aside a year to focus on God helped set me up for some of the things I'm doing now. It was much more than just the study, it was all that God did in that year in my world, simply because I set aside the year for Him. Having a C3 College Canberra campus is going to be fabulous, it will make attending C3 College a lot more accessible to people living in Canberra who don't want to leave our city or their home church but want the C3 College experience. We love that we will have a college that carries the C3 DNA! We probably wouldn't have left this city to go to Sydney. How annoying is it to have to sort through all sorts of irrelevant administration and information on most college and university websites? We don't want you to go through that pain, so we're here to help! Click the button below to talk to us and you'll be personally contacted by our Student Liaison. They will then give you answers and information that you actually want and need. You're important to us and we're here to help you make informed decisions.